The Canteen family welcomes you! 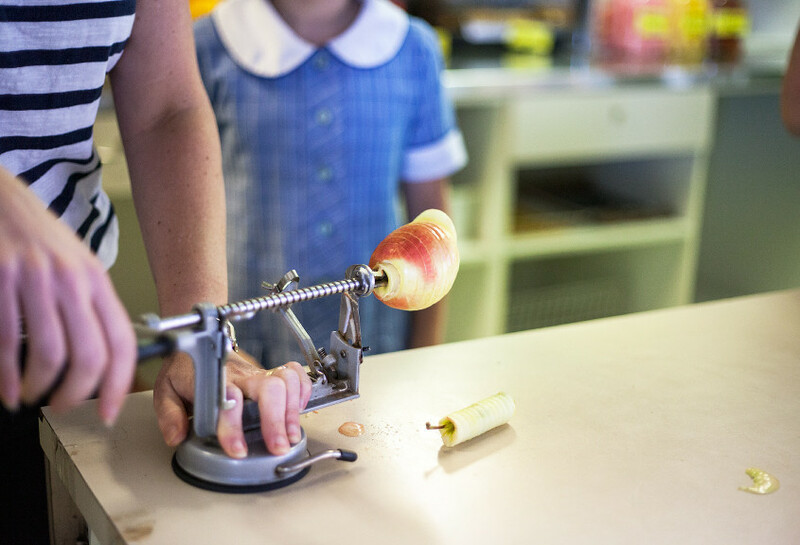 The LPS Canteen strives to offer healthy meal options to our students, create a hub for our community and to generate funding which contributes towards school resources. The Canteen operates with a paid Canteen Manager position (currently shared by three people) and the remaining food preparation and service is done by a valuable group of volunteers. Our Canteen is open 5 days a week and relies on Volunteers from the School Community to help operate efficiently. Volunteering in the Canteen is an excellent way of getting to know other parents, the teachers, and the school environment. See the excitement on your child’s face when they get a special canteen sticker which gives them permission to visit the canteen and collect a complimentary treat whilst you’re volunteering. We welcome any member or friend of the family of enrolled students who would like to volunteer. To volunteer, please click on this Canteen Volunteer link to sign up, or email Cara Rogers, Canteen Volunteer Coordinator on Lpscanteenvolunteer@gmail.com and let her know when you are available. The current roster is available HERE for viewing. We use the Flexischools Online System for ordering and payments. Orders must be placed by 8:30am each day. You can however order for the whole term ahead of time, if you wish. We are also open during recess and lunch for over the counter cash sales for years 3-6. If you require a late lunch order, a cheese or vegemite sandwich, gluten free fried rice and/or a piece of fruit can be ordered until 9:30am. The Canteen is busy implementing a healthy menu following Government guidelines. This is due to be completed by Dec 2019. We look forward to seeing you soon. If you have any queries about the canteen you can call the school on 02 9416 1903. Every week the canteen offers freshly prepared daily specials in addition to our regular menu. Please go to Flexischools for more information. A birthday Bucket can be purchased for your child’s birthday (this provides the whole class with an gluten and dairy free Juicie Ice Block and a voucher for a special treat from the canteen for your child) – just order online via FlexiSchools and we will organise the rest for you. What does it cost to order online with Flexischools? The menu prices are the same whether you order online or over the counter. an account top up fee of 15c plus 1% of the transaction amount if you top up your account using either credit card (Visa or Mastercard) or PayPal. Please note: account top ups by direct deposit do not incur transaction costs, but funds are not immediately available. My child has the same lunch order on a chosen day or orders lunch every day, can I create a standing or repeat order? Yes, you can copy and create orders in advance, not just for the next day! Should an advance order no longer be required, it can be cancelled online up until 8.30am on the day of the order, unless the order has already been downloaded by the canteen in which case you will receive a message asking you to call the FlexiSchools customer support line to cancel directly with them. What happens if I have a repeat weekly order and my child is sick on that day? If an order is no longer required, it can be cancelled online up until 8.30am the day of the order, unless the order has already been downloaded by the canteen in which case you will receive a message asking you to call FlexiSchools customer support line to cancel directly with them. If you have further questions, please email us and we will answer your question by return email. This email contact is NOT monitored throughout the day, so if you are contacting the canteen regarding a lunch order for a given day, please call the canteen directly on 9416 1903. Any other questions or queries will be answered as soon as possible.